Here’s my card for this month’s Stamp Club Swap! Normally, I would choose shades of blue to compliment my snowflakes, but in this case, I couldn’t pass up the super sparkly Champagne Glimmer Paper! 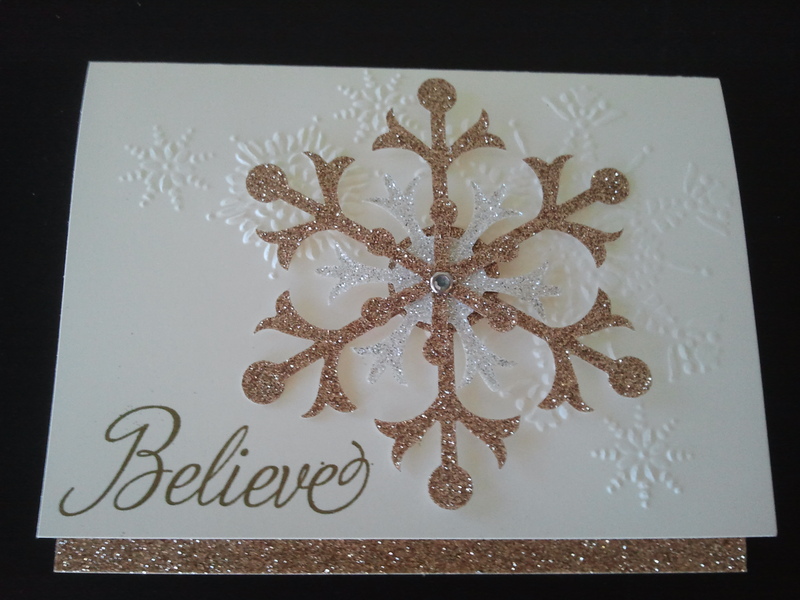 Finishing touches include a Rhinestone Brad in the center of the snowflake (to hold it all together) and Gold Embossing powder for “Believe”. 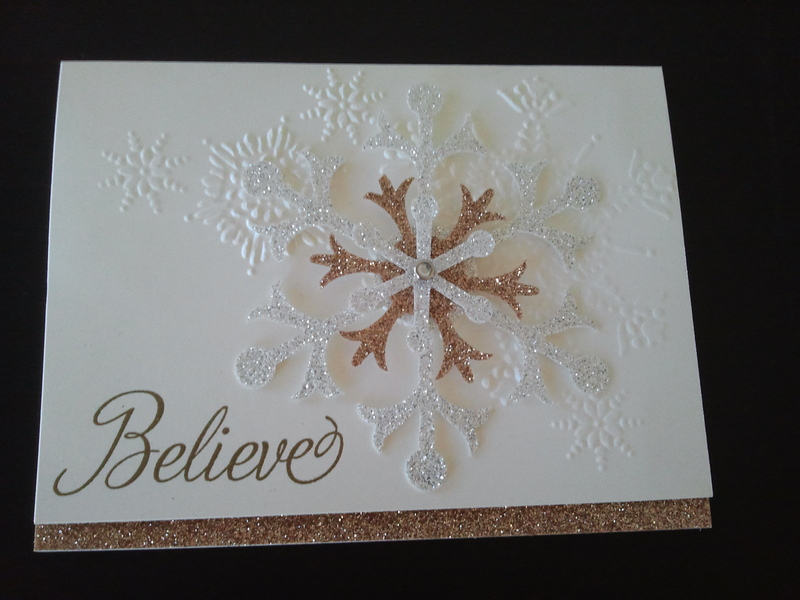 Here’s a second version, using the Silver Glimmer Paper for the largest snowflake. Which one do you like best?